The Euro US Dollar (EUR/USD) exchange rate slipped this morning, and is currently trading at a rate of $1.1433. The release of December’s Consumer Price Index for France saw slowed growth as forecast, falling to 1.9% growth compared to the previous 2.2%. The release of non-seasonally adjusted German Gross Domestic Product (GDP) showed that German economic growth was the slowest for five years, and following this, the Euro fell against the Dollar. November’s seasonally adjusted industrial production figures for the Eurozone saw a worse-than-forecast fall in industrial production. The figure showed that industrial production had fallen by a worse-than-expected -1.7% compared to the previous month, which had been adjusted to 0.1%. There is an increase in pessimism regarding the Eurozone’s growth, as hopes for a rebound in the economy over the fourth quarter remained dampened, especially after today’s news of a slowing German economy. Monday saw some very poor trade figures released by China, which dampened global sentiment, sparking further fears of an economic slowdown. This caused the likelihood of a Federal Reserve rate hike to decrease, which saw the US Dollar suffer. US President Donald Trump suggested on Monday that further progress could be made with China to end the trade dispute between the two nations. EUR/USD Forecast: Could the Euro Fall Further if Draghi is Dovish? This afternoon will see the release of the US Producer Price Index for December, which will likely cause some movement in the EUR/USD pairing. 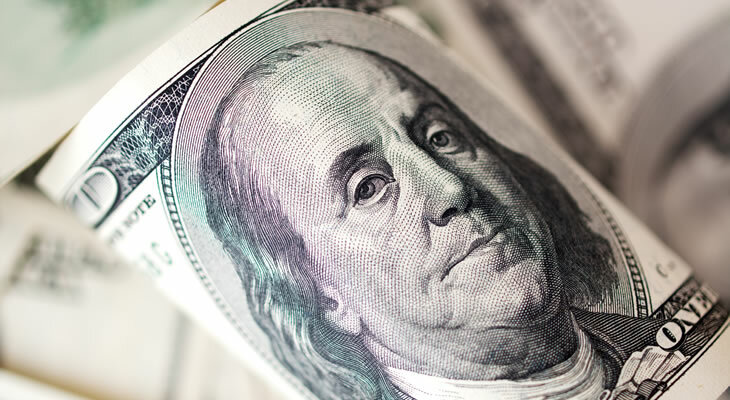 The forecast suggests this figure will remain at a steady growth rate of 2.7%, which could see the USD buoyed against the Euro, or if this increases unexpectedly the Dollar could push higher. Later in the afternoon, head of the European Central Bank (ECB), Mario Draghi is due to give a speech, which will likely cause some downward movement in the EUR/USD pairing if he mentions the recent run of weak Eurozone data or hints at any of the wider troubles the bloc is experiencing. Wednesday morning will see the release of the German harmonised index of consumer prices for December, which is likely to cause movement for the pairing, as the forecast suggests there will be steady growth of the prices of consumer goods, although if this figure falls it could see the Euro pulled lower.